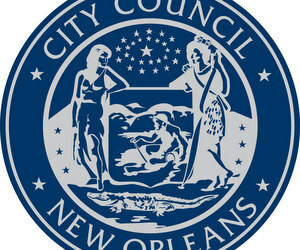 A new restaurant on Magazine Street, a new nightclub on Freret Street and a new home in place of a historic one were all given approval by the City Council on Thursday, though each project has drawn its share of objections. Johnny V’s restaurant next to Monkey Hill bar and the proposed Publiq House in the first floor of the Neighborhood Housing Services building on Freret were given tentative approval to step forward, receiving an affirmative vote that will not go into effect until good-neighbor agreements are signed. Meanwhile, a historic home on St. Charles Avenue can be demolished, after the council decided that the home that will replace it represents an improvement to the showcase street. Johnny V’s | The “after-the-fact” request to allow Johnny V’s was not viewed kindly by City Councilwoman Susan Guidry. She said she was tempted to believe that the controversial second floor-space was added intentionally — contrary to the owners’ lawsuit alleging the contractor did it without their knowledge — but deemed that issue one for a judge to decide. In the meantime, she and the council approved allowing the restaurant to move forward with opening, but tacked on 24 new conditions it must meet — including construction of a permanent wall to prevent any use of the space added without permission. The restaurant will be required to lease more than two dozen parking spaces in the evening from the nearby Shell gas station and Perlis clothing store, and must replace them elsewhere if either of those leases end. Finally, the good-neighbor agreement in the works with the Audubon-Riverside Neighborhood Association must be signed before the approval takes effect. Johnny V’s attorney Justin Schmidt said after the vote that it will likely take the restaurant 45 to 60 days to comply with all the requirements and get all the paperwork finalized. He said the restaurant can apply for a temporary permit to open earlier, but there’s no guarantee it would be granted. Developer Jim MacPhaille said he would like to see the restaurant open as soon as possible, noting that the restaurant will hire 20 employees once it can open and then begin paying taxes on its sales. “It’s the best thing for everyone to get us open quickly,” MacPhaille said. The Publiq House | A project that got unrestrained praise Thursday was the Publiq House nightclub planned for the first-floor of the Neighborhood Housing Services building on Freret Street, deemed another “exciting” development on the fast-growing corridor by Councilwoman Stacy Head. “It’s going to be uber-cool,” Head said. At the City Planning Commission, the pub’s developers were concerned about a provision requiring them to get the signatures in support from 75 percent of property owners within 300 feet. Theresa Becher, the land-use specialist in Head’s office, said that the approval is tentative (similar to Johnny V’s), and that the exact provisos in the ordinance will be determined by the good-neighbor agreement signed with the neighborhood, which is still being negotiated. Demolition on St. Charles | Debate over the proposed demolition of 5428 St. Charles Avenue followed the same lines as it previously had before the Neighborhood Conservation District Committee. Proponents of the project touted the reputation of the architect for the new house, Ken Tate, and the fact that it would be reducing a three-plex into a single-family home. Opponents declared the house salvageable and said its the project’s approval will set a precedent for demolitions on demand on one of the city’s most celebrated avenues. Guidry said she had toured the home and found it to be an inferior example of the talent of its celebrated architect, Emile Weil, and said very little about it required preservation. Head agreed that the proposed replacement will improve St. Charles Avenue, and the demolition was approved. Excited about the positive decision for the Publiq House! I hope they don’t face too many roadblocks and we see this venue sooner than later. Ms Guidry, and Head continue to spear head the establishment of bars throughout their districts. “uber cool” give me a break! Demolition of a major structure on St Charles considered by Ms Guidry as an inferior example of a renowned architect’s work. Hard to adequately describe just how imbecilic these comments appear, but consider the sources. How much additional damage will these two women do to our beloved city. Proponents of the project touted … the fact that it would be reducing a three-plex into a single-family home. Yes, because we should absolutely be *decreasing* density along the best transit asset in the city. Great thinking, there. It’ll fit right in with the drive-through bank branches. Ill agree that was not a positive about the demolition. I will agree that the new building will be an improvement over what is there now.